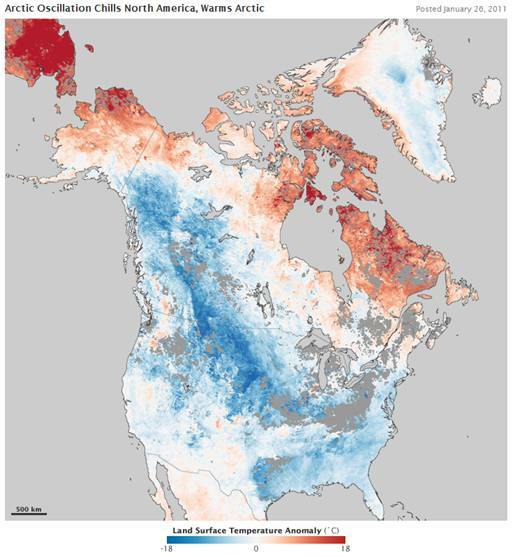 The following figure is from the above source, showing temperature anomalies over North America in January. 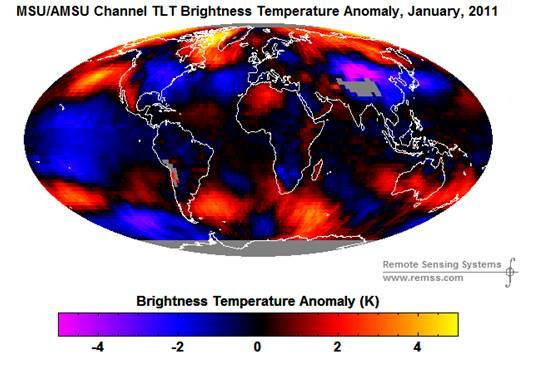 The following figure shows temperature anomalies from the RSS processing of satellite data for January 2011. 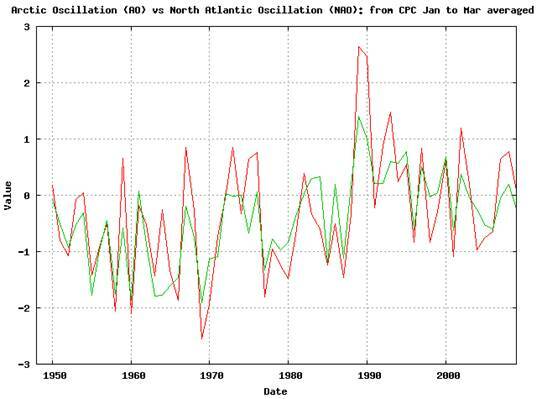 The following figure compares the expected negative NAO effects with the RSS January 2011 temperature anomalies. 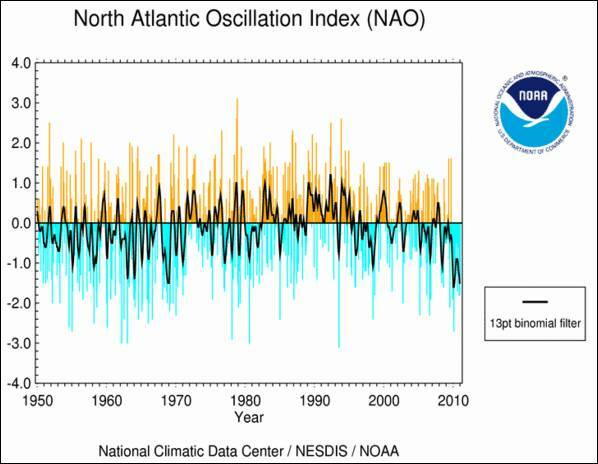 The following figure shows the NAO from January 2009 through December 2010. 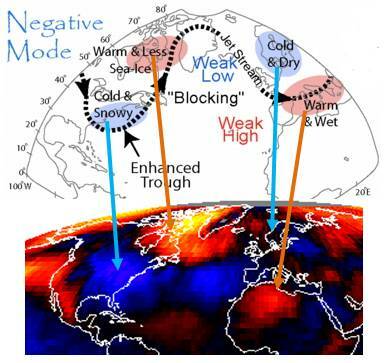 The following figure shows the winter AO. 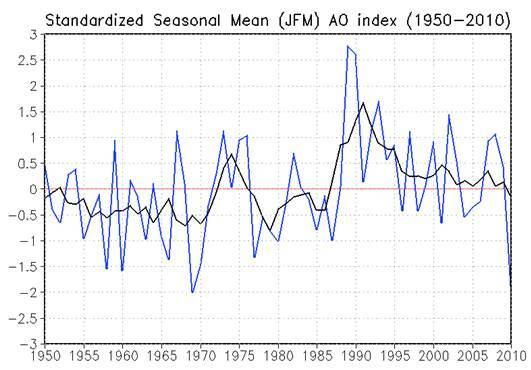 Similar to the NAO, the AO went strongly negative in 2010. 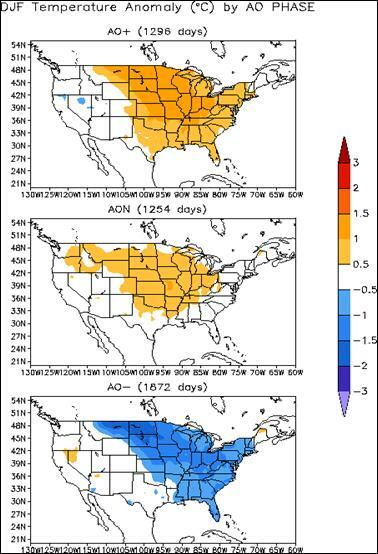 The following figure shows the effect of the AO on temperature anomalies in the United States (from the above reference). 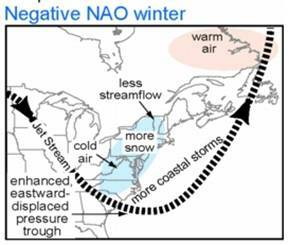 The negative AO/NAO is associated with a slowed polar vortex and polar jet stream. 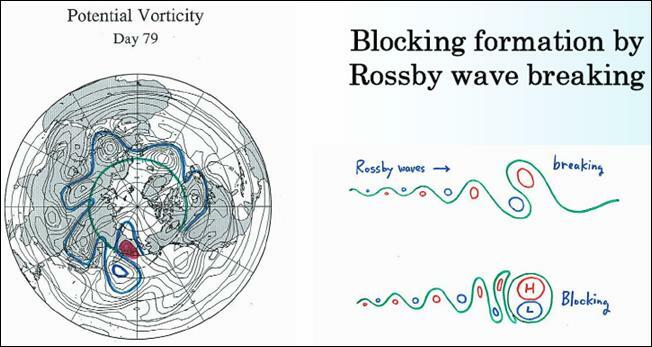 When the jet stream slows, it meanders in a waveform pattern (Rossby waves). 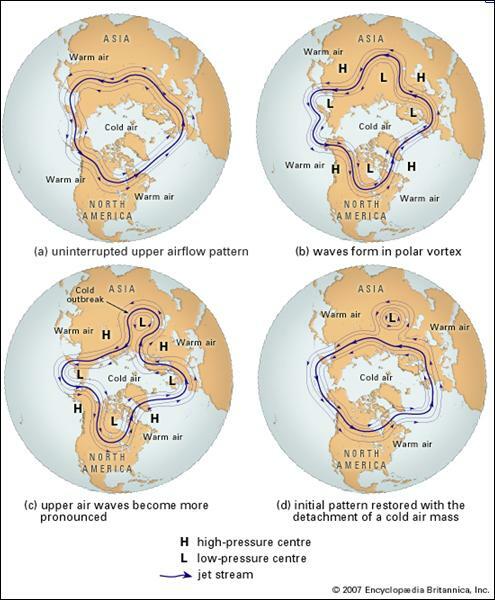 The general effect is illustrated below (from http://en.wikipedia.org/wiki/Rossby_wave). 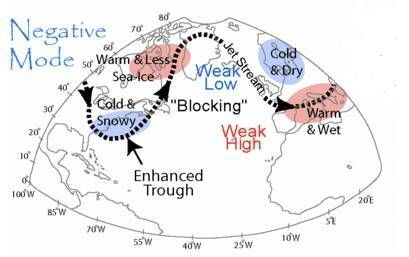 When every possible weather / climate feature is “consistent” with “man-made global warming”, the hypothesis is not falsifiable and is therefore not scientific. 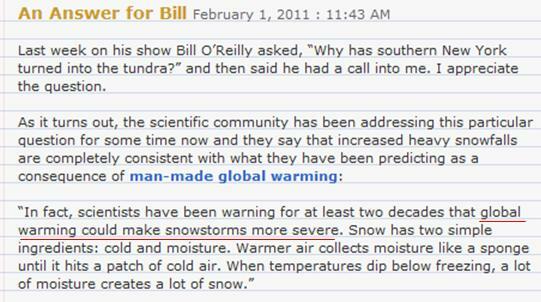 Although Gore was doing his usual lying, many mainstream media outlets were telling the truth. 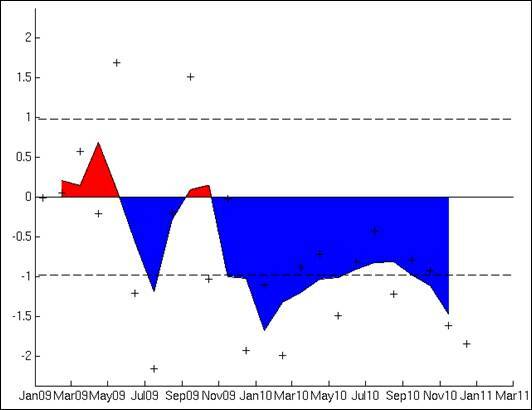 Annual snowfall at Reagan National Airport site for 1888-89 through 2009-2010. The red bar shows the 55.9 inches accumulated through February 11, 2010 that broke the former record from 1898-99. Note that only 3 years of the last 20 have more than the long-term average of 15.2 inches of snow.